Gov. Eliot Spitzer announced today the selection of Rochester Institute of Technology to host New York State’s new Pollution Prevention Institute, a research and development center that will design and test green manufacturing methods and give technical support to businesses to reduce pollution. As it assists industry, the institute will help clean the environment by decreasing the use of toxic chemicals, cutting waste generation, decreasing exposure risks to workers and promoting more efficient use of raw materials and energy. The New York State Department of Environmental Conservation received and evaluated proposals from various universities across the state to host the institute. After an extensive peer review process, a technical committee unanimously selected RIT, noting that its proposal was bolstered by solid agreements with other New York universities and regional technology centers to build a research-sharing network. Following a recommendation by the technical review panel, RIT’s selection was endorsed unanimously by the New York State Pollution Prevention Council, which includes representatives from the Department of Environmental Conservation, the New York State Health Department, the Empire State Development Corporation, the New York State Energy Research and Development Authority and the New York State Foundation for Science, Technology and Innovation. Gov. Spitzer and the State Legislature have approved $2 million in assistance to launch the institute, and Spitzer has called for another $4 million to be allocated to the center in the 2008-09 proposed budget. “This award is a significant achievement for the University, and the team in the Golisano Institute is to be commended for its successful efforts in winning this very competitive grant. It is this kind of leadership, and our ability to capitalize on key areas of expertise, that will enable us to attain our goals for RIT and drive regional economic growth,” said Don Boyd, vice president for research. In 2005, the Federal Toxics Release Inventory showed that New York companies reported 312 million pounds of toxic-chemical waste generated and 42 million pounds released into the environment. These figures point to an untapped opportunity to reduce the impact of toxins on human health and the environment. Moreover, regulatory action at the state, national and international level indicate a shift toward reducing toxic and hazardous substances and an emphasis on product recycling. A 2003 report by the New York State Assembly found that lack of a focused research and development center and on-site technical assistance for businesses was a major shortcoming in pollution prevention. The Pollution Prevention Institute will address this environment by tapping into academic research to make technology and manufacturing greener and help bring pollution reduction processes to market. Center activities will include: the identification and implementation of practical prevention methods, cost-effective equipment and safe materials; the development of professional education and training programs and the creation of a communications pipeline for technical assistance. An additional component of RIT’s proposal includes the creation of 16 research and development test beds, or technological laboratories, across the state, through partnerships with Clarkson University, Rensselaer Polytechnic Institute and the State University of New York at Buffalo. Capabilities of these test beds will include environmental engineering of nanomaterials and printing applications at RIT, green processing and biofuels testing at Clarkson, polymer processing and testing at Rensselaer and sustainable chemical processes at the University of Buffalo. RIT also plans on creating partnerships with New York’s 10 Regional Technology Development Corporations to help disseminate data, tools and strategy. These groups recently formed a green sustainability working group to bolster environmental opportunities across the state. 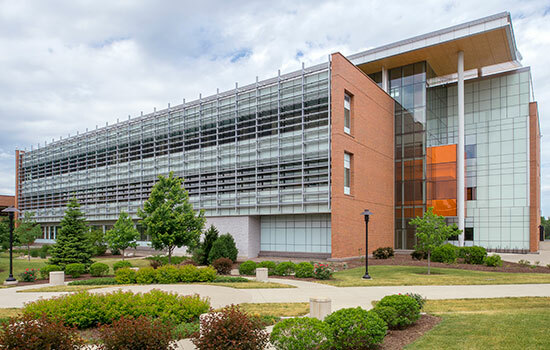 Further, RIT will leverage over $20 million in previously awarded public and private funding to augment the Pollution Prevention Institute’s research and technical initiatives. The institute also will tap into existing pollution prevention activities being undertaken by RIT’s Golisano Institute for Sustainability and National Center for Remanufacturing and Resource Recovery. It also plans to create a community pollution prevention program to assist non-profit groups. Building upon its leadership in the field of sustainable production, RIT established the Golisano Institute for Sustainability in 2007 after a $10 million commitment to the university from B. Thomas Golisano. The Golisano Institute for Sustainability offers the premiere platform for universities, corporations and governments around the globe to collaborate in the creation of innovative education and technology development systems related to sustainable design, life-cycle engineering, remanufacturing and pollution prevention. For more about RIT’s Golisano Institute for Sustainability, visit: www.sustainability.rit.edu.